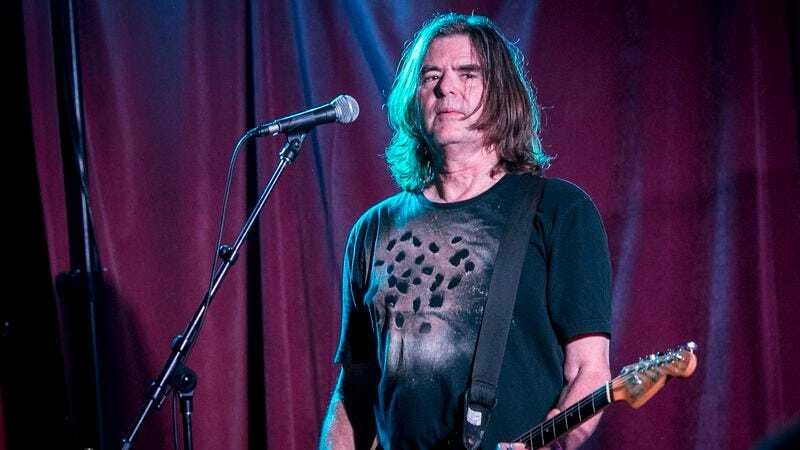 In yet another data point for the ongoing Dad-ification of our various musical heroes, Mission Of Burma’s Roger Miller—a man who once rocked so hard, and so long, that he was forced to temporarily leave the band lest his hearing be permanently destroyed—is offering guitar lessons on Skype. Miller, an influential figure in the post-punk scene, who also went on to form the classical-rock hybrid group Birdsongs Of The Mesozoic, is advertising his services on Craigslist, the internet’s number one place to learn picking technique from aging rock legends. In an ad that asks the actually-pretty-good question, “Many people do this, why not Mr. Miller?”, the veteran guitarist and teacher lays out his credentials, including his time in the still-active Burma, plus bands The Alloy Orchestra and The Trinary System. And all that experience can be at your digital fingertips, for a mere $60 a lesson—which, honestly, isn’t much more than you’d pay to learn from Chad, the guy who posts fliers on the Starbucks Community Board and tends to flirt inappropriately with his female students, who’s never even met Mission Of Burma bass player Clint Conley. Aspiring guitarists more interested ’90s-era noise rock are in luck, too; The Jesus Lizard’s Duane Denison also offers his own set of Skype lessons—and YouTube tutorials—for would-be musicians who want to learn chords from a pleasantly soft-spoken dude who once shared a stage with Kurt Cobain.